Enjoy a 5K or 1Mile route along Chicago’s beautiful lakefront and museum campus downtown, with a starting point in the South Loop neighborhood. Volunteers are still needed to help stage a great morning for the Pink Hat Run. If you can help out between 7am-10am please email pinkhatrun@gmail.com. All volunteers get a Pink Hat! 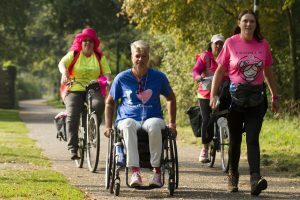 The PINK HAT RUN is a fully accessible route. We welcome participants of all abilities, including children and strollers. The video on this page shows some of the transition points in the route to help inform participants of what to expect. Staging Areas for before and after the PINK HAT RUN are planned along S. Prairie Avenue, adjacent to Chicago Park District’s Women’s Park & Gardens. Note that S. Prairie Avenue is a residential area, please be mindful of neighbors and respectful of private property. Click for Route Map for PINK HAT RUN. Click for Google Map to the PINK HAT RUN Starting Point. The 5K and 1Mile routes begin and end along S. Prairie Avenue at 18th Street, adjacent to Women’s Park & Gardens. From there participants will head east to the 18th Street bridge, which has long ramps, onto Chicago Park District paths, through the Museum Campus and along the Lakefront near Burnham Harbor. The routes double back and end back on S. Prairie Avenue. We recommend participants arrive by 8am to ensure check-in, collecting hats and t-shirts, time for bathroom breaks, and an on time start of the Pink Hat Run at 9am. Advanced packet pickup is NOT available for this event. All participants will need to check-in upon arrival to the Pink Hat Run staging area on S. Prairie Avenue at 18th Street on Saturday. 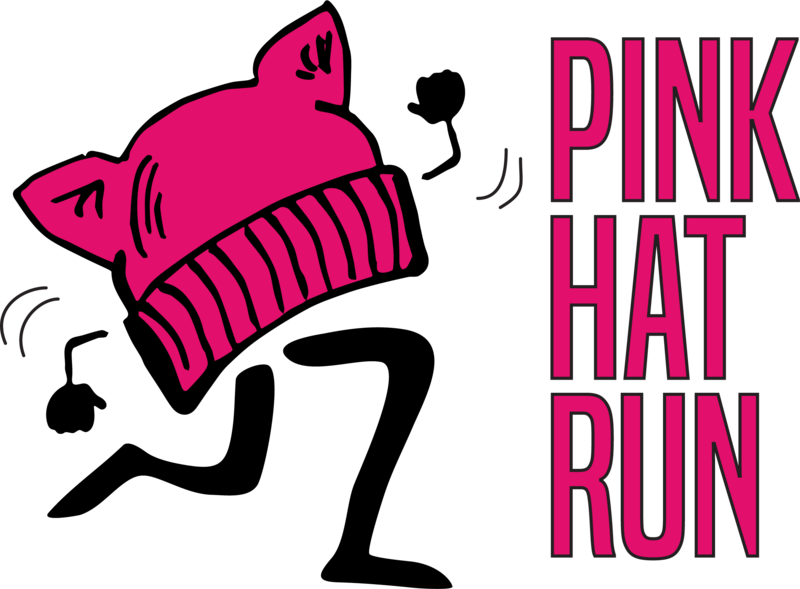 Each participant will receive a Pink Hat Run t-shirt and knit hat when they check-in the morning of Nov 4. Start time for both the 5K and 1Mile routes is 9AM. The PINK HAT RUN is not a timed route. No bibs or chip timing is provided for either route at this event. Participants wishing to keep time are encouraged to wear and manage their own timing devices. Participants are STRONGLY RECOMMENDED to take public transportation or be dropped off to the PINK HAT RUN race start point at S. Prairie Ave and 18th Street. For public transportation, the closest CTA stop is the Green Line’s Cermak-McCormick stop, and then participants can walk 3-4 blocks north to 18th and Prairie. They can also take the Red, Orange, and Green Lines to the Roosevelt stop and then a #3 bus south to 18th Street, walking a block over from Michigan to Prairie Avenue. Street parking is NOT widely available. The closest pay parking lots are McCormick Place or Soldier Field. Alternatively, participants could use www.SpotHero.com to find a parking spot or park at Grant Park. Use the Women’s Park & Gardens location on any map app (Google Maps, MapQuest, etc.) to plan your transportation accordingly. The 5K and 1Mile routes take place along public right of way. Be mindful of city laws and common courtesy when considering bringing an animal to any event. The PINK HAT RUN may have large numbers of participants. Plan accordingly and consider leaving pets at home.